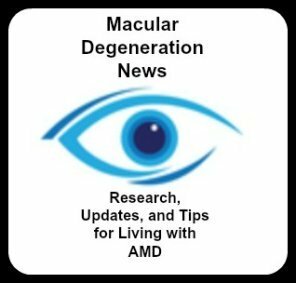 Simplify your life with macular degeneration aids that use voice commands or voice activation like this Amazon Echo. This low vision technology device is a cloud based voice service that is always getting smarter and adding new skills. It can be used by itself or if you want better sound connect it to a Bluetooth enabled speaker or to an audio cable. Want to know what time it is, check your local weather or just listen to your favorite tunes? One device can do it all. There is no need for checking large number clocks, searching on line for your local weather, or writing down a reminder to get eggs when you can simply ask Alexa, "Alexa, what time is it?" or "Alexa, what's the weather forecast for today?" or "Alexa, add eggs to my shopping list." As you can see in the above picture the top of the device is lit up which means Alexa is awake. To activate, you simply use the word, "Alexa" and then follow with your question. 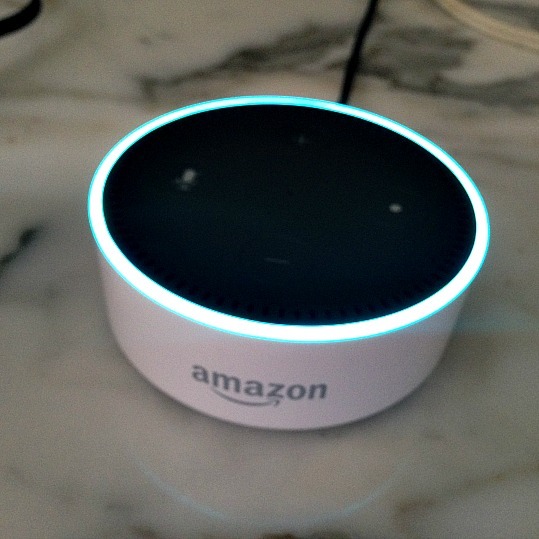 The Echo Dot is small - about 3 1/4" circle. It comes in black or white. You do need WiFi service for it to work. You can use the Echo Dot in many different rooms. 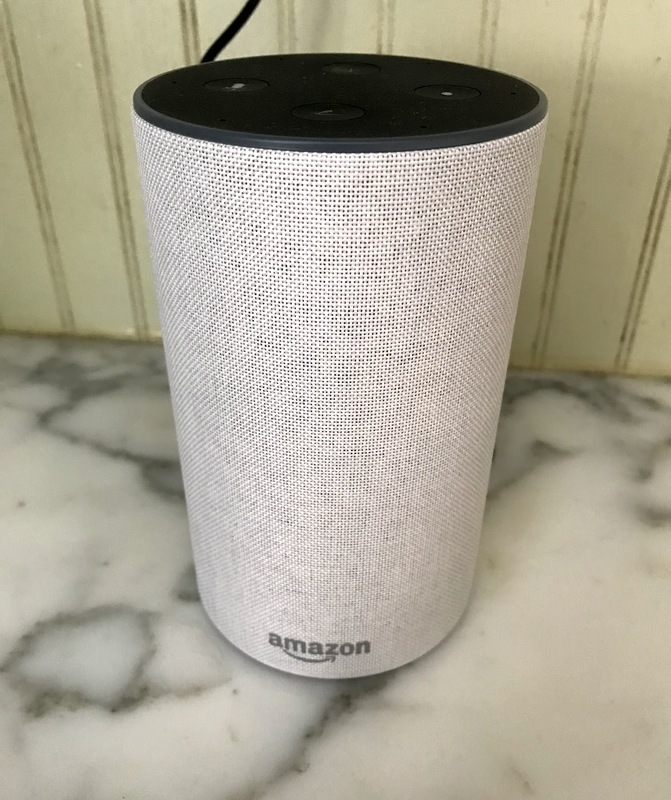 In your kitchen ask Alexa to play your favorite music, make a shopping list or ask a question. In your bedroom you can ask Alexa to set an alarm, ask for the time or to play sleep promoting music. You can also go to https://alexa.amazon.com on your Wi-Fi to enable your computer to manage your setting and skills. 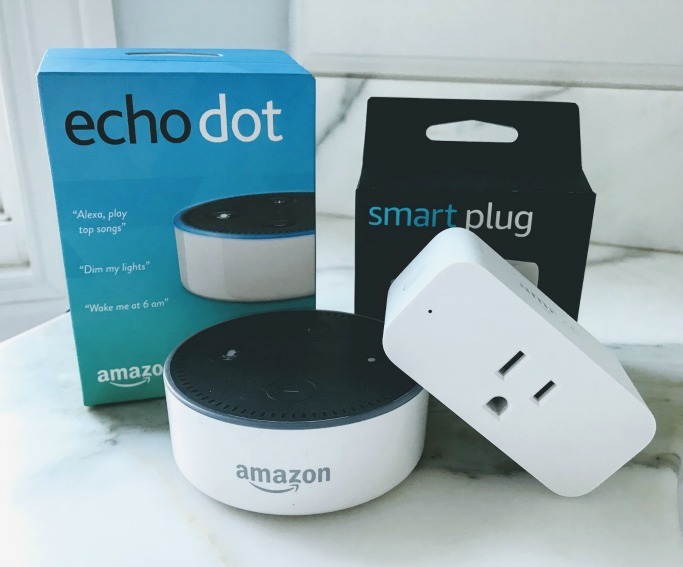 Combine the Echo dot with a smart plug for using your voice to turn on or turn off your electric device or lamp. Use your Echo with your lamps for easy one and off voice commands by adding two Smart Switches. Alexa is always getting smarter, with new skills and new updates constantly being added.